Located on idyllic Vancouver Island, the west coast city of Port Alberni is a cozy community. But being distant from any major urban centre means a vehicle is a must. 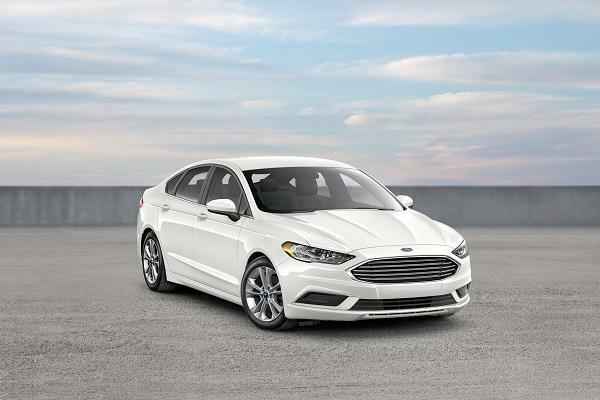 In Port Alberni, one of the best midsize sedan car options is the Ford Fusion. Where driving is essential, the 2018 Ford Fusion makes short work of daily tasks and turns mundane driving into exciting adventures. In Port Alberni and the surrounding area, you can see the 2018 Ford Fusion at your local dealer, Van Isle Ford. There’s so much to love about Ford cars like the Ford Fusion. This is a model that fits hand-in-glove with life on Vancouver Island, with many features that stand out. Midsize sedan cars are usually ho-hum and bland. The Ford Fusion defies the stereotype. Whether you choose the S, SE, Titanium, Sport, or Platinum trim, you’ll be in the driver’s seat of a stylish, attractive vehicle. From its aggressive, front glare to its amazing wheel options up to 19-inch alloys, the Fusion will always look great. For those long trips to Victoria or the ferry ride to Vancouver, a soothing interior is a must. Dual-zone automatic climate control is available on 2018 Ford Fusion SE trims and higher, as are heated seats and heated sideview mirrors on the Cold Weather Package. 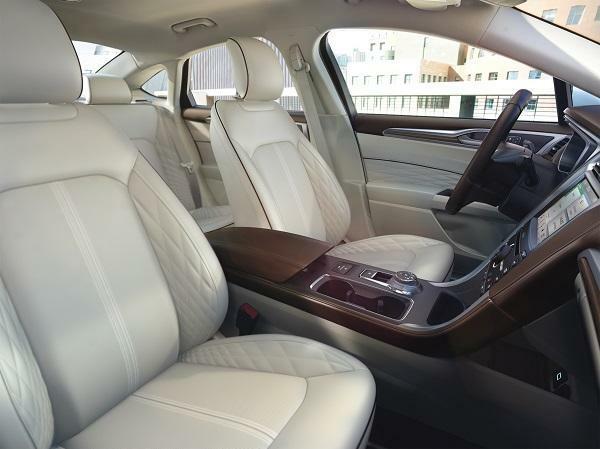 Leather upholstery can be chosen on all trim levels SE and higher, and a heated steering wheel, power moonroof, and SYNC 3 infotainment are also available for a comfortable trip. · The Fusion S and SE trims have the 2.5-liter Duratec four-cylinder as standard equipment. · Fusion Titanium and Platinum both employ Ford’s 2.0-liter EcoBoost four-cylinder, and optional on the SE trim. · The 2018 Ford Fusion Sport uses an impressive 2.7-liter EcoBoost V6 for incredible, fun-loving performance. · Fusion Hybrid models are also available utilizing an ultra-efficient 2.0-liter Atkinson-cycle four-cylinder engine and electric motor. Whatever performance level you desire, you can find it in one of the Ford Fusion’s many configurations. Whether the roads around Port Alberni are icy, slick from rain, or the twisty highways are dry, you can always benefit from more traction. The 2018 Ford Fusion has an available Intelligent All-Wheel-Drive System that takes traction to the next level. Available on the SE, Titanium, and Platinum trims and standard on the Sport V6 trim, Intelligent AWD transfers torque seamlessly front to rear to help you keep your car pointed in the right direction. Ford’s Driver Assist Package helps you maintain control of your Fusion even when you’re distracted for just a moment. It includes Auto High Beams, Blind Spot Information System with Cross-Traffic Alert, Heated Steering Wheel, Lane-Keeping System with Lane-Keeping Alert, Lane-Keeping Aid, and Driver Alert System, Rain-Sensing Wipers, and SYNC Connect. Adaptive Cruise Control, Pre-Collision Assist with Pedestrian Detection, and Enhanced Active Park Assist are also available on the upper trims. There’s so much to love about Ford cars including the 2018 Ford Fusion. It’s perfect for life in Port Alberni with an array of style, efficiency, and technology. You can find it at your local Ford dealer, Van Isle Ford.